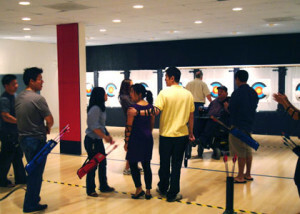 Description: Come try archery! 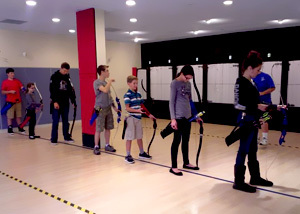 In this class you will learn the basics of archery form, how to aim, and range safety. It’s a great way to try out this fun and exciting sport. Cost: $55.00 Use promo code NSA2018 for a discount on this class! Prerequisite: Interest in the sport of archery. Minimum age 8 years old or 7 with pre-evaluation. 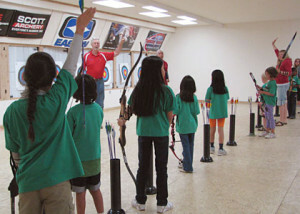 Scheduling: Our popular archery mini-camps are now open for registration. Each week there are 2 class times to choose from, times will vary per week. Prerequisite: Minimum age 8 years old or 7 with pre-evaluation. Scheduling: Our popular summer mini-camps will begin the 3rd week of June and will take place each week during the summer. There are 3 class times to choose from 10:30AM-12:00PM, 12:00PM-1:30PM and 12:30PM-2:00PM, depending on the week. More times per day will be added as the classes fill up. Proudly serving Washington State and the greater Puget Sound area for all your archery lesson and service needs. Including Seattle, Shoreline, Mountlake Terrace, Bellevue and the greater Eastside.